Happy Holidays from Logo'd Gear! Happy holidays everyone! We hope you enjoyed our December series on branding. We look forward to working with you next year and providing you with quality service for your promotional needs! Logo’d Gear thanks you for your business and we look forward with you toward a prosperous 2011! It seems rather obvious, doesn’t it? Yet, how many times have you been sincerely and memorably thanked for your business? I bet you still remember the personal note, the perfectly timed gift, the letter of appreciation sent to your manager for your efforts. Personal message of thanks stand out. Impersonal holiday cards get thrown out January 1st. Promotional items with a personal touch get kept – and used throughout the year. Sincerely showing your thanks is memorable. Take the time now to associate gratitude with your brand. Thank your customers and potential customers for the time they’ve spent with you. Consider sending a promotional item that will express your values – perhaps it’s an eco-friendly item or maybe it’s a portable USB drive. Maybe this year it’s just a hand-written note of thanks. Whatever you choose, you are building your brand. Make it a good one! So far we’ve talked a lot about the emotional impact of branding. What practical steps can you take to identify your brand with your company? This is where building a visual image of your brand comes in. No doubt you already have a logo. Although one of the most important items for your business, you will need more than just a logo to build your visual image. Do you have a tag line? Is it short and clever enough to be memorable? Logo’d Gear uses Stay in Front of Your Customers! It’s succinct and describes what we believe, what we do, and what we help you to do. Choose specific colors. FedEx is one of my favorite examples of this. The FedEx logo is the same on every product they sell, but Federal Express has chosen specific colors to represent specific products. For example, FedEx ground is green. FedEx critical is blue (code blue, anyone?). Once you choose a color scheme, keep it consistent. Use it in everything you do. Make it easy to recognize your company and your brand. Use your company name and tagline on everything you do, from emails to letterhead. Make sure your web site, social media tags and phone number are on everything that goes out. Order promotional products that promote your brand. Order logo’d bulk items like ink pens, post-it notes, notepads, coffee mugs, water bottles, or apparel and use them. Make sure these promotional items have your logo and tagline and are in the specific colors you’ve chosen. Give them away freely to your employees and potential clients. Let’s take a look at the benefits of branding. A brand can impact your sales in 3 dramatic ways. Word of mouth spreads easier and farther. A strong brand converts inquiries into clients. Remember that saying “No one ever got fired for choosing IBM”? A branded service simple makes more sales; the trust factor is already there. The sales cycle is shorter and faster. Here’s an example: Logo’d Gear has a terrific reputation for providing quality promotional items in North Carolina. When a business needs a series of promotional items for a marketing campaign prior to a trade show, they might call us and one of our national competitors. When we get the business, it’s usually because (1) we had a strong recommendation, (2) that implicit promise of quality and delivery already starts the foundation of trust between our new potential client and our customer service personnel and (3) one phone call can close the sale. Our brand for delivering quality promotional products on time and done right helps us stand out as more than just another branding company – it helps us Stay in Front of our Customers. What is the Heart of Your Brand? A service is a promise, and building a brand builds your promise. Invest in and religiously preach integrity. It is the heart of your brand. We offer personal service. It’s important to use to “get it right” which means talking to you directly – not an automated customer service line. We offer options because we understand that “one size doesn’t fit all”. This means we give our clients the option, for example, of setting up their own ‘customer store’ if that’s how they prefer to shop. We have a strong sense of community service. We give back and we participate in our local community – not because we make money from it (we don’t! ), but because it’s the right thing to do. That last phrase really sums it up for the team at Logo’d Gear. We stay in front of our customers because it’s important for us to do the right thing. It’s hard to put that kind of a brand on a coffee mug. Yet, when you see a coffee mug, a water bottle, pens – anything with our logo on it – we want the promise of our brand to be what you see when you see our promotional items. We want you to feel confident that when you buy your tradeshow items from us or outfit your team in our polo shirts, that we will deliver quality products on time, and done right. What is the difference between Silk Screening, Screen Printing and Embroidery? Over the years, we’ve gotten this question many times from customers who are ordering branded apparel for the first time. What’s the best choice to get your logo displayed most effectively? The terms “Screen printing” and “silk screening” can be used interchangeably. They describe the process of decorating an item by printing a design in ink, one color at a time, through a tight silk mesh. It’s one of the most commonly used methods used for promotional T-shirts. Screen printing allows you to use multiple colors and designs. Screen printing pricing is typically based on the number of colors in your design. However, the size of the design doesn’t affect the cost, so it’s an economical choice for larger designs found on t-shirts. Graphics with fine detail and small letters come out looking like a photograph! Embroidery is the process of decorating an item by sewing a design onto it in color thread. Embroidery has more upscale apparel available than screen printing. For example, it is the most popular choice for corporate apparel like golf shirts, denim and oxford shirts. You can embroider on items like caps, towels and polar fleece. You can still use multiple colors but the design size is usually much smaller than can be done on a t-shirt. The design must be digitized to run on an embroidery machine, so you will have to have your logo or design available as vector art (typically done in Adobe Illustrator, Photoshop, or CorelDraw). We’d be happy to look at your computerized image and let you know if we can embroider it! Embroidery pricing is based on the stitch count, which is determined by the size and complexity of your design. What is the easiest way to increase your lifespan, improve your quality of life AND to decrease your company healthcare costs by thousands of dollars? Did you know that currently 62% of companies with 200+ employees provide wellness programs? There is a great reason for this – comprehensive wellness programs WORK. They result in healthier and happier employees who are able to perform better at all levels. So how can you implement a health and wellness program in your company? Here’s a great list of ideas: http://www.corporate-wellness-companies.com/corporate-wellness-program-ideas.html How do you kick off your new program? Start with a branded health/fitness journal for those who sign-up to participate. This is a great way to encourage your employees and a terrific way for individuals to keep up with progress. Our journals even give great tips on eating and staying in shape! Or, how about kicking off your wellness program with a stainless steel water bottle and pedometer? Have Friday Funday contests to see who can put the most miles on their pedometer each week! If you already have a health and wellness program in your company, think about re-energizing it with incentive gifts for participation, meeting goals and exceeding goals. Try incentive gives that promote healthy activity such as logod golf balls, jump ropes, workout (yoga) mats, Ogio gym bags, Frisbees, and dryfit sports apparel. Here’s to happy and healthy living! Soft, durable bamboo apparel made from renewable resources. Hypo-allergenic and anti-bacterial, natural fibers keep you cool in the heat and warm in the cold. Polo shirts made from nylon or other non-biodegradablematerials that trap heat next to the body and don’t breathe. travel mugs and water bottles or re-usable stainless steel bottles. Styrofoam cups or plastic bottles. (Did you know plastic soda bottles can take up to 450 YEARS to decompose? Recycling office electronics and used ink cartridges. Throwing unwanted or used equipment or cartridges in the dumpster out back. Pens made from bio-degradable corn plastic. Hard plastic non-biodegradable ink pens. Should You Go BPA Free? We run special sales on items each week. This week our special pricing is for BPA Free coffee mugs and water bottles. Sounds pretty cool, right? But what is BPA? And why is BPA Free is the way to go? Very simply put, BPA is an organic compound used as a building block in plastics and plastic additives. Unfortunately, concerns about its safety have been around since the 1930s. In fact, in 2009, the FDA released a report raising concerns about its safety for infants and young children. Studies are showing potential links between BPA exposure and cancer, obesity, neurological issues, thyroid function and diabetes. Here’s a quick list of Reasons to Go BPA-Free! to reduce your long-term exposure to BPA. 2. 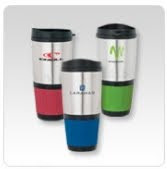 Non-plastic drinkware (like a stainless steel coffee mug) is tougher and less likely to break. recycled resins that are produced. So choose to go BPA Free in your office and at home. 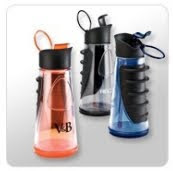 When it’s time to purchase coffee mugs and water bottles for your company and your clients, call us and make sure you specify BPA Free. The added benefit to your bottom line? They’re on sale now through Earth Day on April 22nd! It’s happened to all of us at one time or another – we get a new manager. For some, it’s more than just a new manager, it’s a whole new management team. This recently happened to a new client of ours. How they handled the transition is an interesting case study. This particular client has about 500 employees located in various offices around the United States. They have been in business for a number of years and had developed a very “old-school” management philosophy. When the owners decided to sell the business, new management came in with new ideas, new philosophies and a new energy. They had many challenges. How would they allay the natural fears that come with any change in management style? How would they create a close-knit team feeling and loyalty among their employees and boost morale at the same time? How would they make sure that the new management philosophy became part of the attitude and customer service efforts of their employees? First, the management team sat down and devised a new three-part mission statement that more accurately reflected their forward-thinking positive business philosophy. This three-part mission statement translated easily into 3 short memorable messages. Next, they selected several promotional products to use as gifts for their employees. Each promotional product is imprinted with one of the new branding messages. These products were specifically selected for their usability and thus, visibility on each employee’s desk. Next, to foster the feeling of belonging to one team (rather than several disjointed groups) they designed imprinted t-shirts and other logod apparel for their employees. And last, the management team created an incentive program. By reaching certain milestones or simply for doing a great job, employees earn incentive points that allow them to select whatever branded promotional items they want – from leather portfolios to backpacks to laptop cases to pens to coffee mugs to…well, you get the idea. It lets their employees create their own incentive gifts. Transitioning from old to new is never easy, but with programs like the one described above, a new management team can help make change easier in a cost-effective way. Can't Remember Anything? Plug in a USB Memory Drive! I have a computer at work, one at home, and a laptop. Is it any wonder that I’m forever trying to figure out where I’ve saved something? It occurred to me that I’m not alone. We have a college student working at Logo'd Gear. Swinging on her keyring is a USB memory drive emblazoned with the name of her school. She stores all of her homework and papers on her USB drive and is never caught without something she needs for school. What a great idea! Turns out her school sells logo’d USB drives in their bookstore. Your clients will use them because they are needed and useful. Since your clients use them, your company brand and message stay in front of your clients. Providing your client with something useful and appreciated helps cement the relationship bond between you – resulting in repeat sales. Each week, we run a special for our customers. This week our special is bags, embroidered or printed with your company logo and brand with no set up fee. I got to thinking – other than to carry a bunch of material from trade shows, how do people use logo’d bags? 1. Go green! Re-usable bags are especially popular now. One cool new product is bags made from recyclable materials like bamboo or hemp. Not only do you get to re-use the bag, it starts out “green”. 2. Giving bags that clients use keeps your logo in front of them. I remember a friend of mine who got a logo’d insulated lunch bag from a vendor. She loved that bag and packed her lunch in it everyday. Five days a week her vendor’s logo and brand message sat on her desk. How’s that for advertising? 3. Bags are more than just tote bags and lunch bags. Airline-size friendly duffle bags and carry-ons can take your name, message – and contact information – around the world. It’s an easy way to expose your company’s products to a large audience. Headquartered in Charlotte, North Carolina Logo'd Gear is a premier provider of promotional products. Help! My Budget Has Been Cut. I Can’t Afford To Buy Expensive Promotional Products for My Clients! Many marketing or sales professionals think that clients will only appreciate expensive gifts. In today’s economy, tightened budgets don’t always allow for luxury promotional items – and many people think the only alternative are cheap pens. Interestingly, although expensive gifts have their place, they don’t offer the highest brand recognition and retention. Studies have shown that the highest brand recognition is associated with promotional products that are USEFUL – not most expensive. What do I mean by useful? A useful branded promotional product is a product that is worn immediately or that sits on your client’s desk and is used every day. Because they are seen and used, they showcase your brand daily. This is a subtle yet easy way to continue to build loyalty and trust - a way to Stay in Front of Your Customers! When the opportunity to use your products or services arises, your client will already be familiar and comfortable with your brand. I have 10 sure-fire useful promotional items that you can imprint with your brand, email or website and telephone number that are guaranteed to be used daily by your customers. Make it easy for your clients to call you! Snow and Ice; Hardly Nice! Did you get some of the snow that blew through the East Coast over the weekend? Here in Charlotte, we got enough snow to shut the city down for a few days. City and county crews worked through the night to keep the roads passable once the ice started to melt. Their ability to be prepared for unexpected emergencies was a tremendous factor in the overall lack of serious injuries and fatalities after the weather hit. Unfortunately, we can't always prepare for the unexpected. The people of Haiti had no way of knowing or preparing for the tremendous tragedy that struck in January - and certainly very little way to prepare for the aftermath. Although our thoughts and prayers are with them, Logo'd Gear is proud to be able to assist in a material and practical way as well. On January 22nd, Logo'd Gear joined with the Job Corps Center in their Haiti Relief Corner effort to provide hundreds of t-shirts, polo shirts and pants to aid those who have lost so much. We are grateful for the opportunity to be able to help and thank everyone who took part in this relief work! Foil the Flu - It's Not Over Yet! According to WHO (World Health Organization) as of November 2009, more than 207 countries and territories ahve confirmed cases of the H1N1 virus The Centers for Disease Control and Prevention has posted action plans on his website (http://www.flu.gov/) to help prevent the spread of the flu. Since the flu germ is invisible and can hide anywhere - especially in the office. A stapler, a coffee cup, a ball point pen, a tape dispenser, dooknobs, on someone's hand could all hold the virus so it is imperative to keep your hands clean. If you have immediate access to hot water and soap, it's easy! But what if you don't? Logo'd Gear suggests hand sanitizers and other disinfecting products. For a very affordable price, you can reduce the potential sicktime costs to your company by helping to prevent the spread of the flu. Provide your employees and your customers with small hand sanitizers with your logo. With the popularity of these products, you can help keep everyone healthy - AND provide a promotional product that will be used and visible everyday. Best in Charlotte 2009 - Embroidery Advertising! With that in mind, I am excited to announce that Logo'd Gear won the 2009 Best of Charlotte Award for Embroidery Advertising! This prestigious award is given by the U.S. Commerce Association. Each year, they recognize outstanding local businesses throughout the country. They were established to recognize the best of local businesses in their community. When you need your company's logo embroidered on your corporate apparel or any other promotional product, please think of Logo'd Gear. We promise to give you the same quality of service and product that won us kudos as Best of Charlotte! Seems like the holidays flew by - and already we are almost halfway through January! One of our resolutions for 2010 is to keep the Logo'd Gear blog updated a bit more regularly - expect to see something new and thought-provoking weekly! I read a great article recently on branding and power of promotional products. I was blown away by these numbers - did you know that 83% of all respondents liked receiving a promotional product with an advertising message? Eighty-three percent! Considering that a 1-3% response rate in a direct mail piece is considered favorable, are you effectively reaching out to over 3/4 of your customers? The article went on to say that 48% would actually LIKE to receive promotional products more often. If you are responsible for branding your company and creating awareness around the services your company offers, your customers want to hear from you more often. How effectively are you using your marketing budget? One last statistic to consider: Consumers indicated that 69% keep promotional products if they have a use for them. How useful are the promotional products you send your customers? Imprinted pens, logo'd coffee mugs, lunchbags...these are a few of the useful promotional items your competition uses to stay in front of their customers. Are you? Headquartered in Charlotte, North Carolina Logo'd Gear is a premier provider of promotional products. We help our clients Stay in Front of Your Customers!